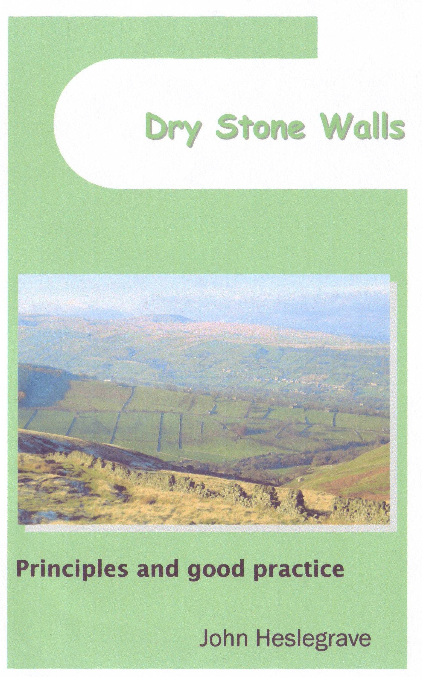 The Dry Stone Resource is a site dedicated to the growth of dry stone walling in North America. With a focus on education, preservation, resources, certified dry stone masons in the USA, how to's, documentary videos, continuing education through workshops, photos, testing schemes and many other helpful tools. The site will be intended for home owners, dry stone masons and industry professionals. Working to promote and educate the advantages of the craft of dry laid masonry. Richard Tufnell DSWA Master Craftsman talks about how to build a free standing Rock Fence. 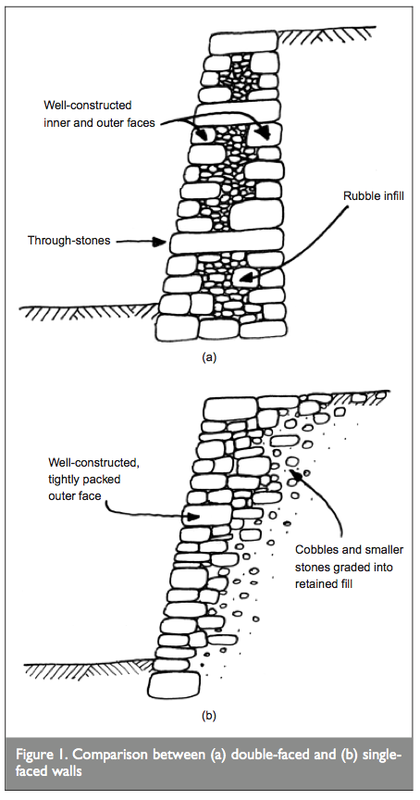 Dry-stone walls are formed by carefully stacking blocks of stone rubble, without the use of mortar. Found throughout the world, dry-stone walls form the distinctive character of many areas of the UK, including the Cotswolds, Peak District and Lake District. Dry-stone retaining walls are engineering structures used to support road, railway and canal cuttings and embankments. 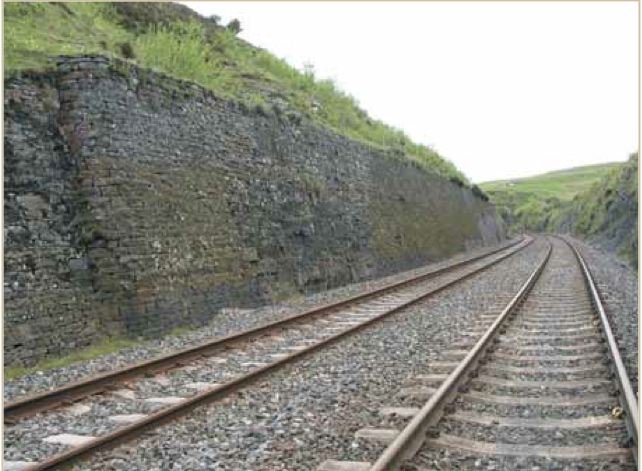 The walls are commonly about 0.6m thick and are comprised of a bonded masonry face with stacked rubble stone behind. They were mostly built during the 19th and early 20th centuries. There are about 9000 km (5592 miles) of these walls along the UK road network alone, having an estimated replacement value in excess of £1 billion. A limit-equilibrium analysis program has been developed as part of an investigation into the stability of drystone retaining structures. Initial verification of the program's function was in relation to field trials conducted in 1834 by Lieutenant-General Burgoyne, which have been the main reference to date for checking numerical modelling of drystone retaining walls. Parametric studies and investigations of bulging mechanisms are reported and analyzed. 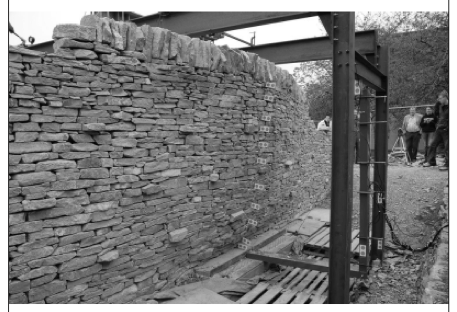 Program predictions have been compared with the initial results from new small-scale and full-scale drystone retaining wall tests. The work carried out in this paper was conducted at the University of Bath in conjunction with Southampton University UK, funded by the Engineering and Physical Sciences Research Council (EPSRC). Drystone retaining walls and their modifications – condition appraisal and remedial treatment. MC Principles Dec 1994 Information should not be reproduced without permission.